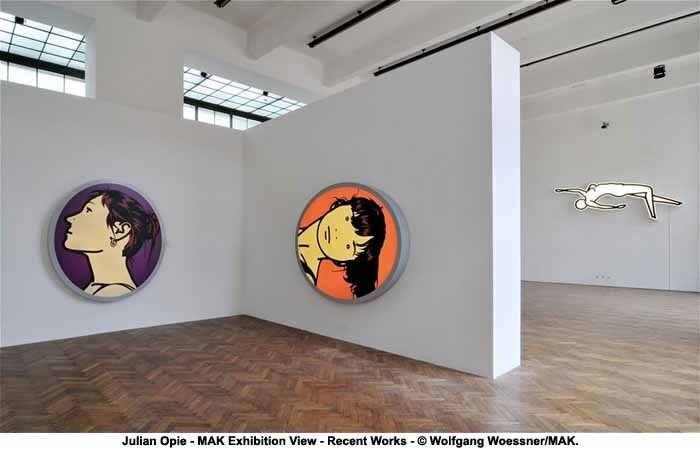 In this show of “Recent Works”, the MAK presents a comprehensive solo exhibition of the British artist Julian Opie. The three large bodies of work assembled in the show, “Portraits”, “Nudes”, and “Land-scapes”, survey most recent works by the artist, many of them never shown before. The works of this boundary-pushing artist who always strives to find innovative ways of artistic expression oscillate between painting and sculpture, expanding techniques and readings of art. Recognized as one of the most prolific artists in the New York Graffiti scene throughout the 1980’s and 90’s. He began painting on the number 1 Broadway local subway line in 1984. Throughout the 1990’s, West, along with his ‘Fame City’ crew has been recognized as a major influence in the NYC graffiti movement with large scale graffiti mural paintings. Since 2001 West has pushed into the realms of abstract expressionism and stripped the artform of all of it’s traditional trappings of color, medium, and process. As a result a new unique language has emerged. 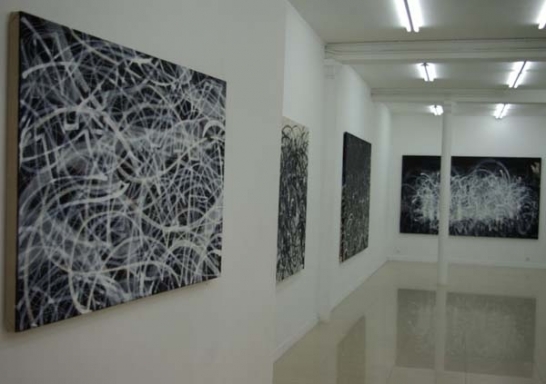 Here is an interview with the artist at Galerie Magda Danysz , well worth checking out. Japanese artist and Takashi Murakami discovery, Rei Sato, made her US debut with a solo exhibition showcasing her unique and charming style of work. Lehmann Maupin Gallery is the host for her debut which features a new series of paintings that allow the viewer to escape into a fantasy land with simply drawn children and things of a “kawaii” (Japanese for “cute”) nature. 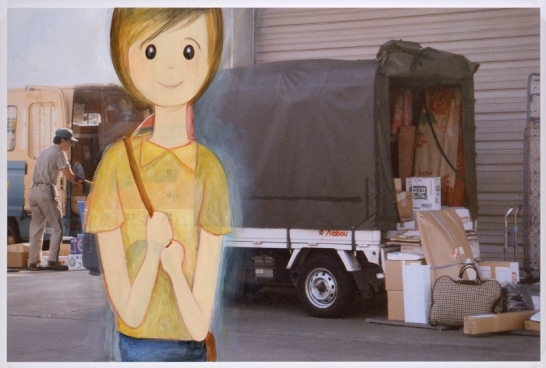 Sato creates these beautiful works of art by photographing common sites on the street then superimposing her drawings of children or furry animals into the picture. The show runs through August 8th. 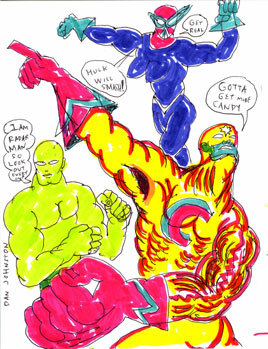 Daniel Johnston’s first solo show is set to take Milan by storm at Antonio Colombo Arte Contemporanea during the Traffic Free Festival. The artist responsible for such character Jeremiah the Frog, Sassy Fras the Cat,Polka Dot Underwear Guy amongst many other weird creatures originated by the “bizarre imagination of Daniel Johnston, naive genius of the underground scene.” Daniel Johnston’s musical talent is most well known, defined by lyrics that are tender and bitter at the same time Daniel has always been a fervent illustrator too. Look out for the exhibition to begin in July as this is one not to miss.